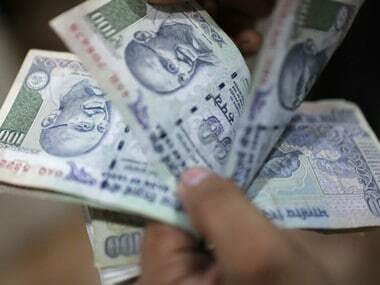 New Delhi: India's fiscal deficit at August-end touched 96.1 percent of the budget estimate for 2017-18, mainly due to rise in expenditure. Controller General of Accounts (CGA). During the same period of last financial year, 2016-17, it was 76.4 percent of the target. For 2017-18, the government aims to bring down the fiscal deficit to 3.2 percent of the GDP. Last fiscal, it had met the deficit target of 3.5 percent of the GDP. 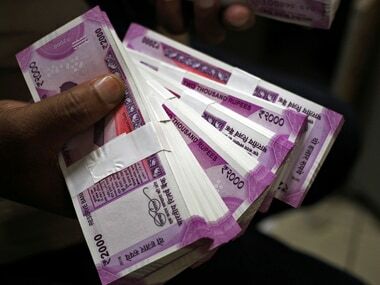 The CGA data showed that the government's revenue receipts worked out at Rs 4.09 lakh crore during April-August period, which works out to be 27 percent of the budget estimate (BE) of Rs 15.15 lakh crore for the whole year. In the comparable period last fiscal, revenue receipts comprising taxes and other items were 28 percent of the target. As per the CGA data, the government's expenditure had been increasing on sequential basis and totalled Rs 9.5 lakh crore at August-end or 44.3 percent of the budget estimates. In the comparable period last fiscal, the expenditure was 40.5 percent of the budget estimate. Capital expenditure during April-August, 2017-18 was 35.5 percent of BE as compared to 37 percent in the similar period last fiscal. The revenue expenditure was 45.8 percent of the BE during April-August 2017-18. This compares with 41 percent in the corresponding period of 2016-17.